The 2017 NGV Kids Summer Festival will celebrate four-legged friends and the magic of storytelling, drawing inspiration from the NGV’s dynamic suite of summer exhibitions including summer blockbusters Viktor&Rolf: Fashion Artists and David Hockney: Current during 11 days of free holiday fun! Director of the NGV Tony Ellwood noted that this popular Kids Summer Festival had over 22,000 children attend last year's 2016 event. 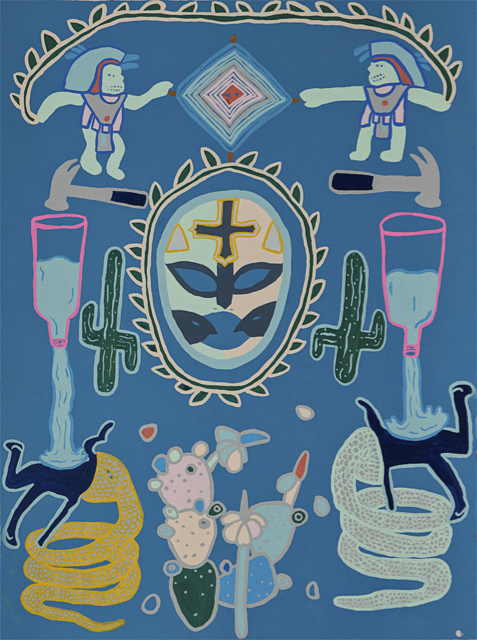 The festival makes art accessible to visitors of all ages, presenting a dynamic program for younger audiences to connect with art and art making activities. To celebrate David Hockney and Viktor & Rolf’s shared love of dogs, children can create dog inspired paper creations with artist group Soft Stories, try their hand at designing vibrant and colourful three dimensional paper dogs with illustrator Alice Oehr, and display and photograph their doggie creations at the ‘dog park’ in the Great Hall. On Australia Day, canines will take centre stage for ‘Doggy Day’, with a parade of dashing dachshunds strutting through the Great Hall. ‘Doggy Day’ festivities will also include art making workshops, as well as performances by Luke the Magician, a member of the new magic sensation Gentlemen of Deceit as seen on TV’s Australia’s Got Talent. At NGV International, visitors will be inspired to invent their own adventures and illustrate a magical story with artist Penny Min Ferguson, the creative illustrator behind the design label Min Pin, and use Viktor&Rolf’s design codes to create whimsical and wearable masquerade masks with Kitiya Palaskas, a designer known for her pop-craft aesthetic. 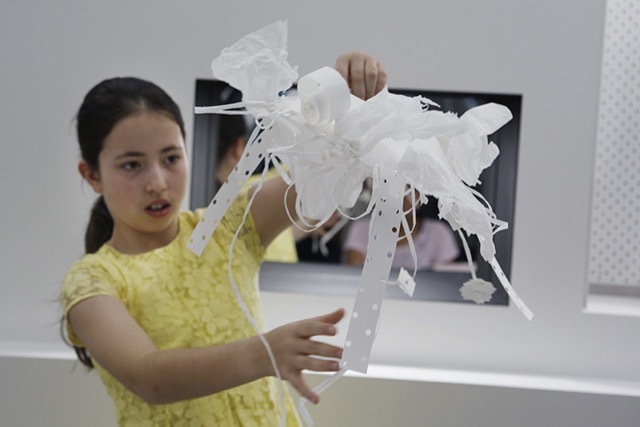 Visitors can further explore Viktor&Rolf’s design elements in the free children’s exhibition Atelier: Viktor&Rolf for Kids, drawing inspiration from the designers’ elaborate and avant-garde creations and making bespoke paper accessories to take home. See our review here. In the NGV Garden, children of all skill levels can join in drop-by dance sessions with Yellow Dance Spot, and draw inspiration from the shapes and movements of the flowers seen in Lee Mingwei: The Moving Garden with children’s yoga classes run by Yoga Sparks. 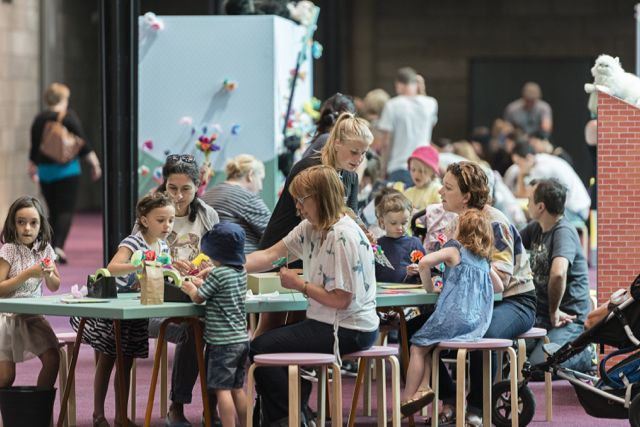 At NGV Australia at Fed Square, children can explore the exhibition Bruce Armstrong: An Anthology of Strange Creatures and partake in a hands on modelling and drawing workshop with the artist and sculptor himself, Bruce Armstrong. Further activities at NGV Australia will invite visitors to explore the power of painting by creating colourful portraits of themselves inspired by their favourite artworks with artist Justin Hinder, and tackle a series of lively, quick and colourful painting challenges and games with contemporary painter Esther Olsson. Activities and events will take place at the NGV International and The Ian Potter Centre: NGV Australia in Fed Square from Monday 16th to Australia Day Thursday 26th of January 2017 between 10am and 3pm daily. 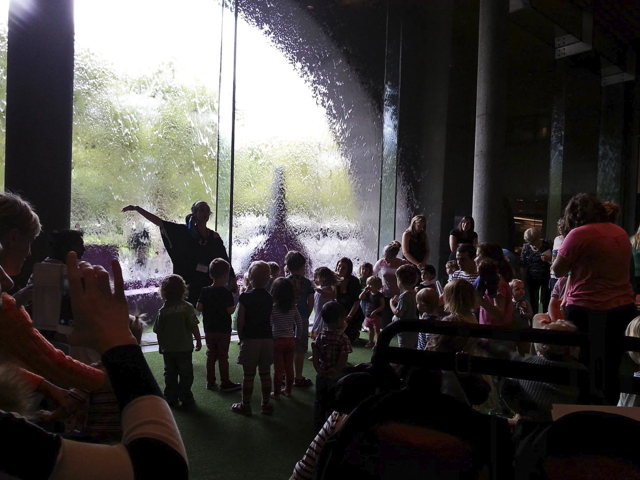 For more information and a full events' listing of the activities and events taking place at both sites during the NGV Kids Summer Festival, head to their website.